– to unlock your android phone. – to track and find your phone, in case if it is stolen or lost. – to block your phone and prevent it from being misused. – to register a report at the police station about your lost phone. So, considering the significance of IMEI number, it is essential to know where and how to find out the IMEI number of your phone. 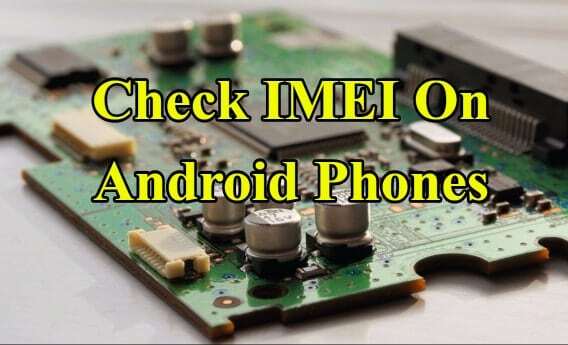 There are number of ways to find out the IMEI number of your Android Phone. Here, we have listed few of the simple methods to find IMEI on Android Smart Phones. Take out the battery by opening the back cover. You will be able to see two numbers and a barcode with it. The number visible on top of the barcode is the IMEI number, and the name at below the barcode is usually a serial number (which is another unique identification code). Turn around your phone and at the back portion of your phone; you can find the IMEI number engraved on it. The number will usually be written in tiny letters. You can use a magnification glass to see the number accurately. Else, you can take a picture of the back portion of your phone using another phone or tablet and look at your IMEI number by zooming in on the image. 1. Open the phone app and click the keypad tab on your Android phone. 2. Dial *#06# on the keypad tab. 3. 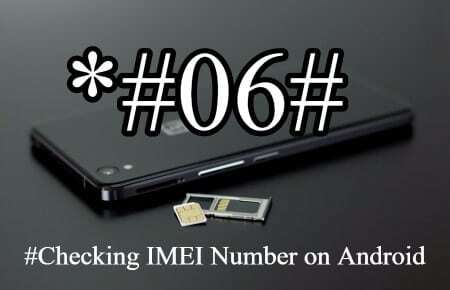 Immediately your Android phone should show the IMEI number of the phone. Note it down somewhere safe or take a screenshot of it, so that you do not lose it. If you still have your phone’s box, then you can easily find out the IMEI number of your phone. You should be able to find a sticker on the table with a barcode on it. The figures below the barcode are the IMEI number of your phone. And another way to find out the IMEI number is from the receipt of your phone. So if you have the receipt of your phone, then probably the vendor has written the IMEI number of your phone on it at the time of purchase. Try to locate it. 1. On your Android phone or tablet go to the Settings option. 2. In the settings menu, scroll down the page and click on the subheading About Phone and if tablet, then click on the subtitle About Tablet. 3. After this, click on the option named as Status. 4. As you click on the status option, the IMEI number of your phone is visible on the screen of your phone. Note down the number or take a screenshot of it, or you can copy it on the notes app by tapping and holding on the IMEI number till the option appears. 1. Using the Google account linked to your phone, log in to Google Dashboard. Or, just go the link Google.com/dashboard and sign in with your Google Account. 2. Click on the Android tab, placed next to the green robot logo. 3. Once the Android tab is expanded, you can see all the Android devices linked to your Google Account. Now, you can find out every detail about the devices like model numbers and IMEI numbers. We hope you could find the IMEI number of your Android phone by considering the ways mentioned above. If you found this article helpful, please do share it with your friends and family.